Industrial Strength samples is back with another essential effects pack for the modern producer. Lazer's, we all use them, we all love them. Since the days of early Dub Reggae and Disco, Laser sounds have come in all forms and sonic sizes. Now a days, this popular effect had transcend from the days of past to find their way into Dubstep Trap, Juke, Mombotone, Dance Hall, Raggtone, Nu Disco, Nu Rave, Electro Complextro, Techno, Grime and most styles of modern Electronic music. 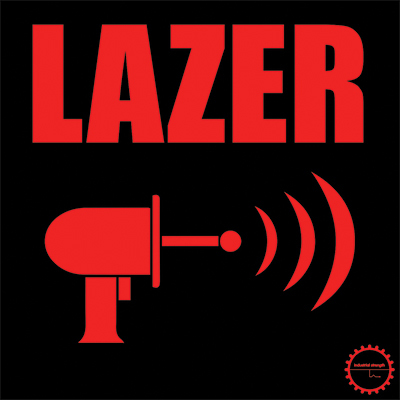 With all these lasers kicking off, we thought it was time to put together a one stop sound source for Lazer effects. This pack comes with Bass Lazers, Lazer Gun sounds, Lazer Leads and some off the wall effects for you to tweak out. Lazer combines NI Massive patches and Audio making this pack a one of kind go to pack for Lazer Effect sounds. We even tossed in extra Lazer effects from our other ISR packs for good measure. The pack comes with over 100mb of license free 24 Bit Lazer madness for you to use as is, morph, stretch or just get silly and glitch the sound out even more. If your in need of some ready to use and ready to tweak Lazer Effects, there is only one choice-ISR's Lazer.